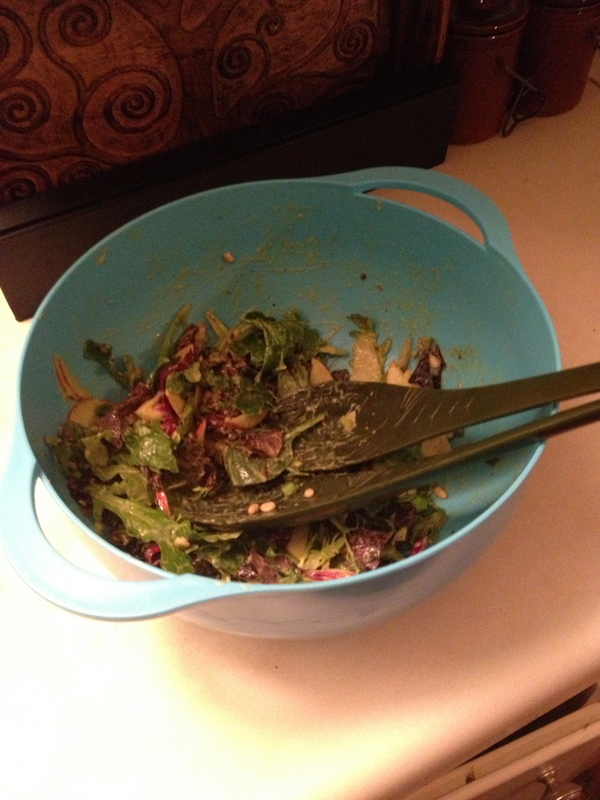 The Clean Plate blog post for today will be brought to you by Nikki’s husband, Geoff. I’m no chef – not even by a looong shot. 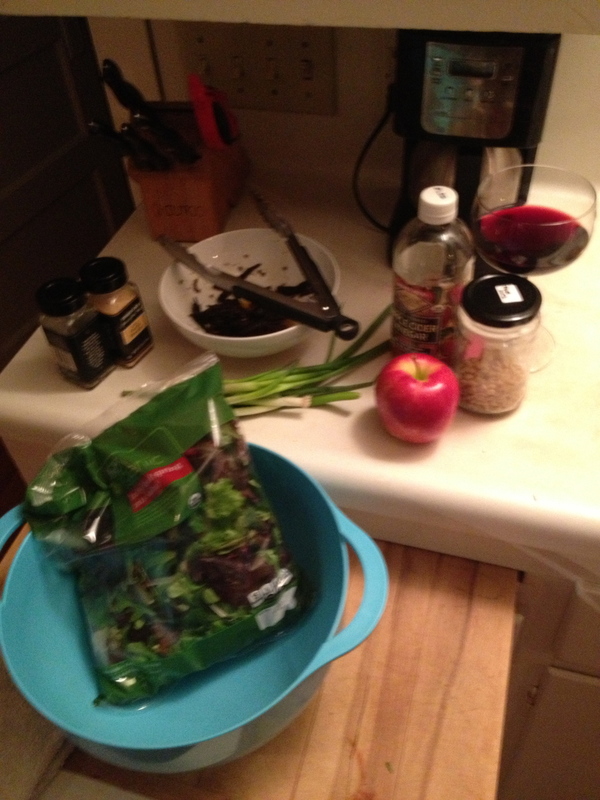 But I did make dinner last night in order to give Nik the night off from cooking. And as a bonus Valentine’s Day gift to her, I also gave her the day off from blogging today. So you’re stuck with me for this post. (Don’t worry though – Nikki will be back on Monday.) Hope you enjoy it. So, last night we had a pretty simple dinner. 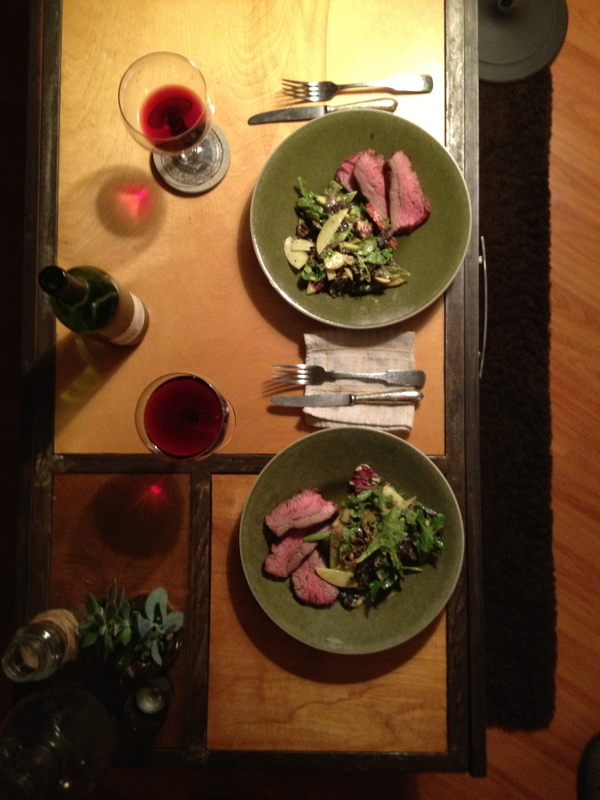 Marinated tri-tip steak and salad. As I mentioned above, I’m no chef, so fancy and exotic was out of the question. Since the quality of recipe isn’t probably going to be up to the regular level of excellence you’ve come to expect from this blog, I’m gonna write about both of em. This marinade is something that I learned from an Army Vet while I was living in a tent in the middle of the woods, building trails for the National Park Service. (No, I’m not making this up.) Another guy on my crew had been stationed in Panama after the US invaded at the end of 1989. Since he was living in the jungle with no access to a fresh meat supply, he and his buddies came up with a marinade that could tenderize even the toughest of meats and make them tasty. He claimed that he used it to eat monkey meat – which is supposed to be pretty tough and stringy – but I can’t vouch that that story is true. What I can say without a doubt is that it works wonders on tri-tip. The above measurements are just kind of eyeballed. I have no idea exactly how much of anything I put in, so that’s makes part of what makes this marinade fun. It turns out a little bit differently every time. The one thing I’d caution you against is using too much mustard – a little of that goes a long way. 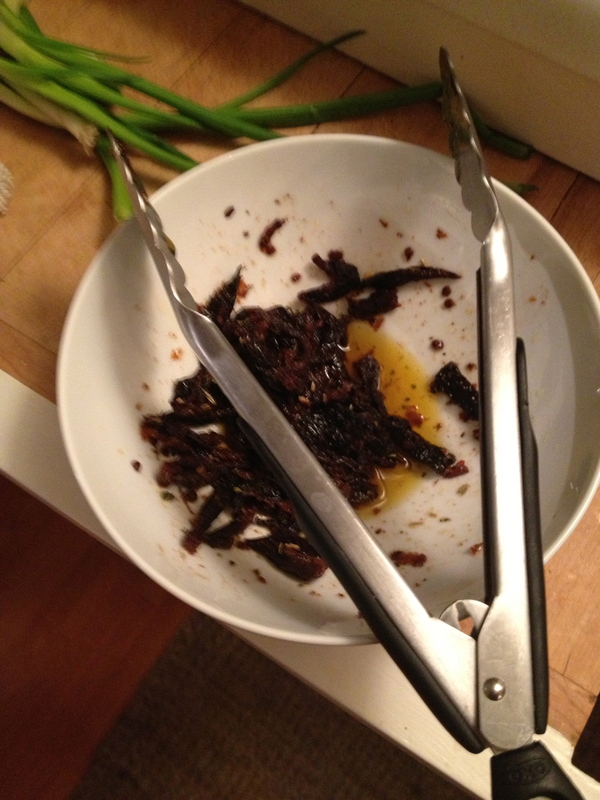 As for everything else, you know what you like, so add stuff like hot sauce and chili pepper flakes to taste. Optional: I didn’t do this last night, but typically when I make this marinade, I also cut the meat into small strips and put them onto skewers prior to marinating. I know that sounds crazy to a steak purist (Cut up a STEAK?!? 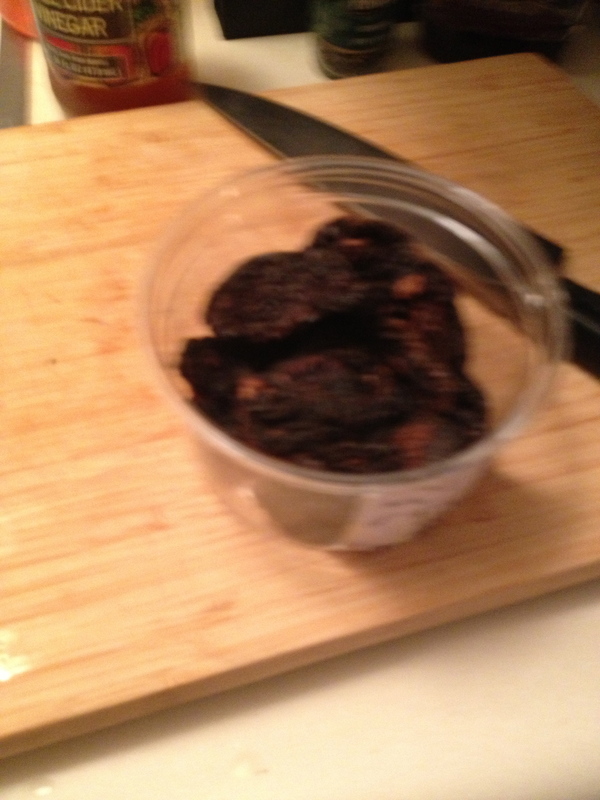 ), but seriously, most marinades only sink into meat about an eighth of an inch (no matter how long you soak it). Cutting the meat into strips about a quarter inch thick allows the marinade to really soak in. 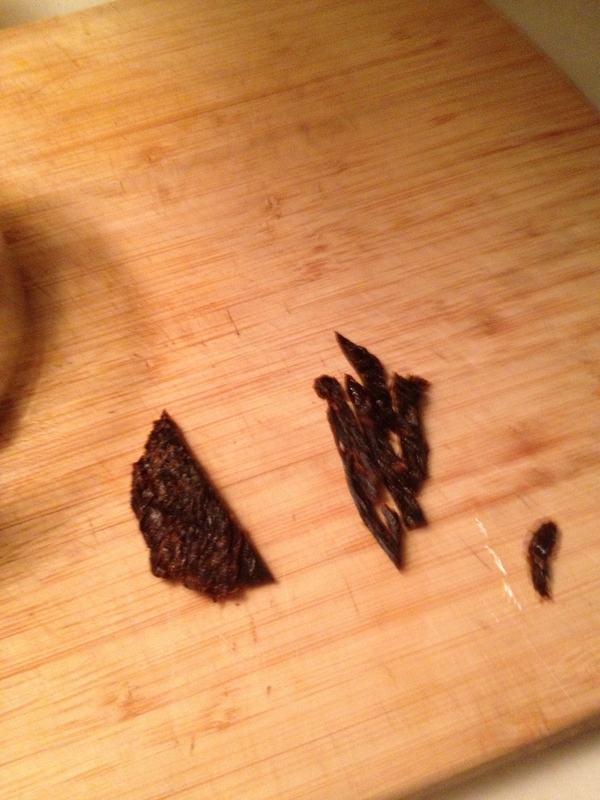 Once you cook it, it tastes like you’re eating beef jerky right off the grill. So if you’re feeling adventurous, give it a try. 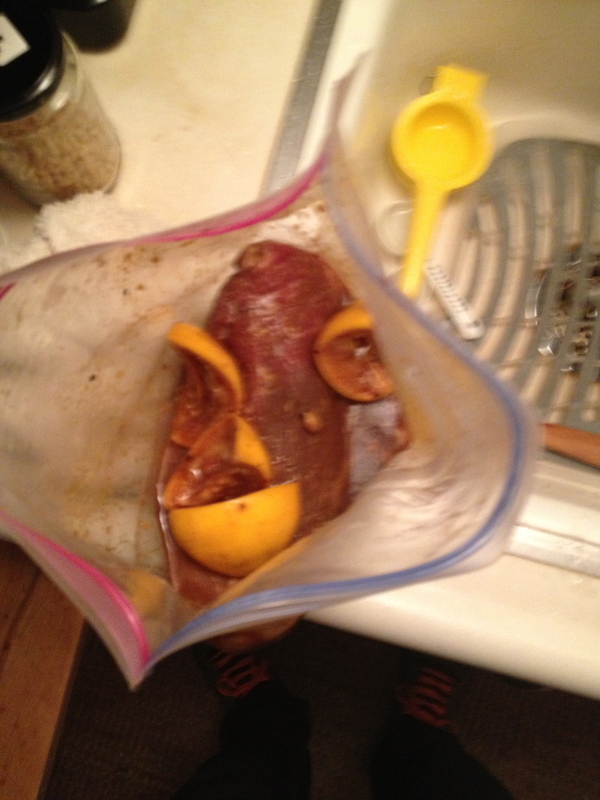 Or you can simply just poke a holes into the tri-tip with a fork and then marinate. More traditional, and it still works. Whatever you choose to do with the meat, soak it for several hours. BBQ, and then let it rest for at least five minutes after pulling it off the grill prior to eating. 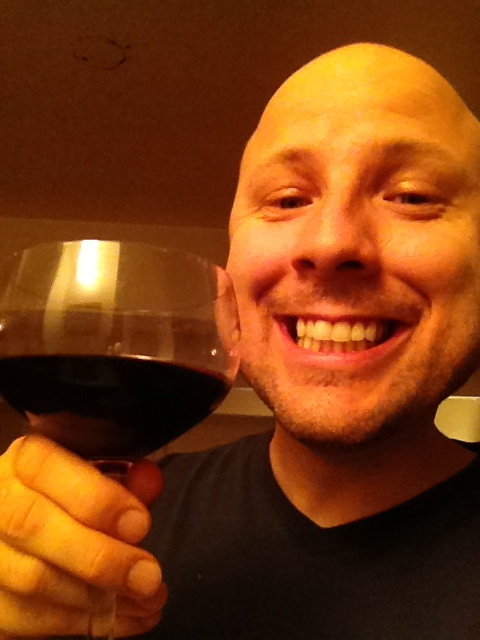 Now, on to the second half of this two-part guest blog. The salad was a pretty standard affair, since (after all) it was a salad. But I tried to throw in a few little twists to make it interesting and impress my chef wife. It seemed to go over well too, as Nikki ate it and there wasn’t anything left. In fact, she liked it so much that she even smeared what was left of the salad dressing onto the final piece of her tri-tip. Like I said, pretty standard salad. The apple definitely helped make it, so go with it even if you’re opposed to fruit in your non-fruit salad. Trust me. In order to reconstitute the tomatoes, chop them into strips about a quarter of an inch wide. Then, soak them in warm water for about 15 minutes. Drain the water (which will be a reddish color), and add a little olive oil (just enough to coat them), salt, pepper, and some Italian seasoning. Let these soak in the oil for a little while before you put them in the salad. Since the sundried tomatoes had a strong, slightly acidic taste, I tried to round that out with a creamy avocado salad dressing. 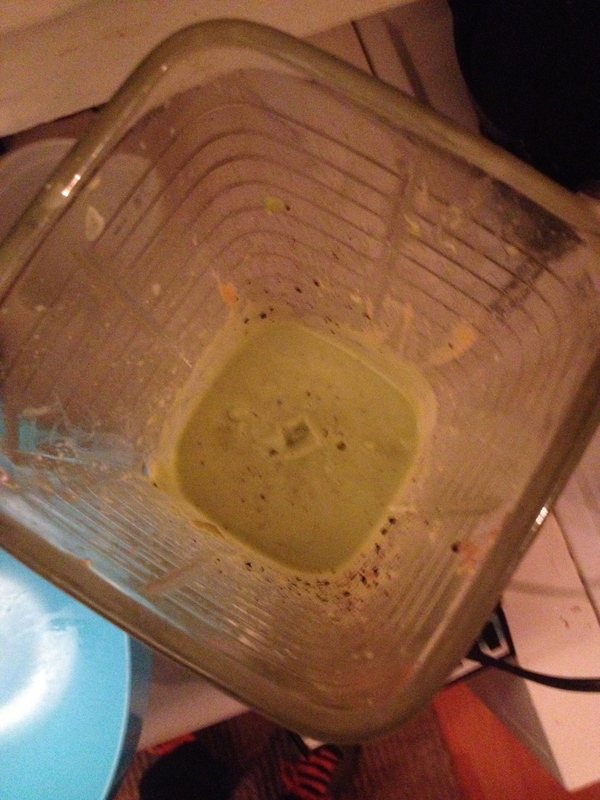 To me, that sounds like something I’d see in a restaurant (or something that Nik would serve at home), but it was as easy to make as throwing a bunch of stuff in a blender. For the dressing, I actually paid attention to specific measurements (which is like a direct violation of the code of guy cooking), so hopefully that helps. Blend into the consistency of salad dressing and throw it in a bowl with the tomatoes and other salad ingredients. I had to use quite a bit of water in order to get it to thin out correctly, but I have a feeling that could vary depending on the size of your avocado and consistency of other ingredients. Mix up the salad and it’s ready to eat. Finally, pull the meat off of the plate where it’s been resting, cut it (if necessary), plate it along with the salad, and eat it. Happy belly and (for me) a happy wife that (for once) didn’t do the cooking. Hope you all had a very happy Valentine’s Day. Wow, I am very impressed!